ON-SITE SAME-DAY TV REPAIR - We Come to You Today & Repair Now! 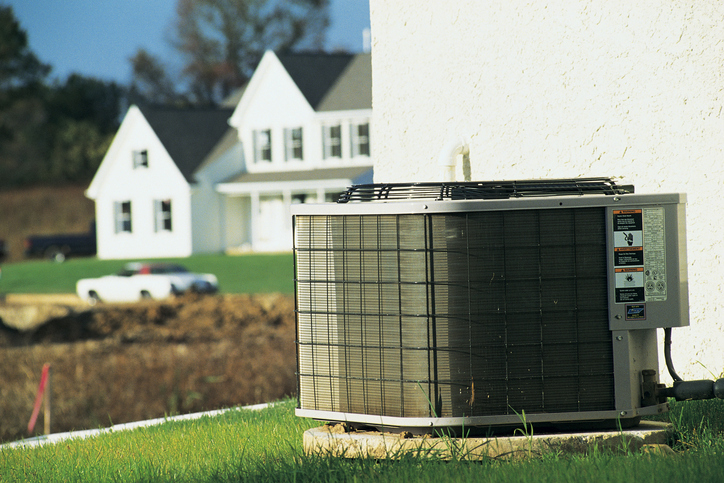 At A&O Quality Aire, our expert air conditioning Technicians are specially Trained, Certified and Insured. 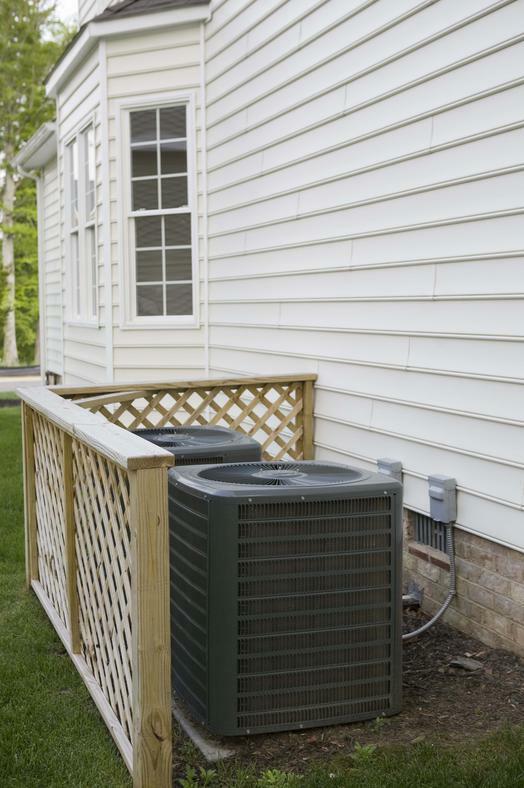 They are professionals and experts who strive to deliver air conditioning services that are perfect and simply unmatched in quality. Our technicians are experts with many years of experience and follow procedures by-the-book. 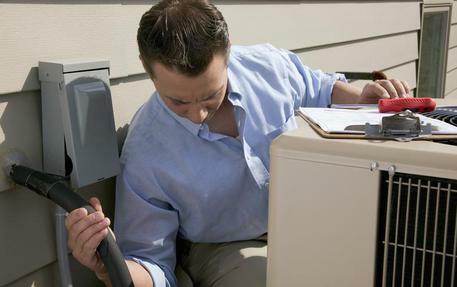 They all abide by the rules and laws that govern proper heating, ventilation, and air conditioning (HVAC) repair. Our technicians also design and build tall units according to the specs requested. Our experienced technicians are skilled not in only repair services, but also installations, sales, preventative maintenance, and cleaning. They have worked with homes in residential areas, commercial and industrial companies and businesses, as well as start-up projects with new construction. We wrok very closely with builders, HOAs, Resort Management, and even out of state Owners. Our team members and technicians at A&O Quality Aire are skilled in many electronic repair issues by proving their expertise and knowledge throughout with the exceptional service they provide. And don't forget, we offer 24 hour emergency HVAC repair service. 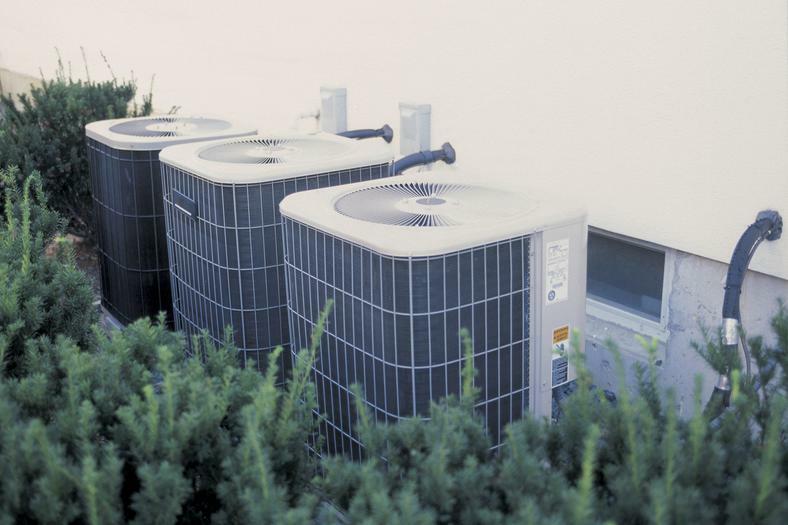 We are the premiere air conditioning service that will always be availableto help you with all your commercial and home quality of life needs. 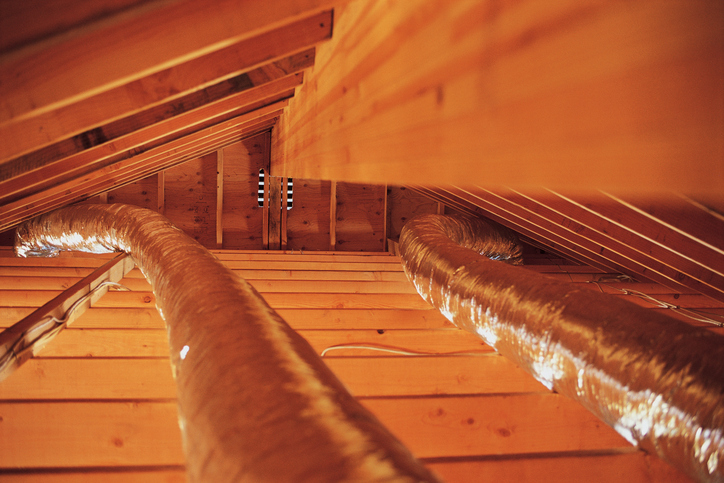 WHY CHOOSE A&O QUALITY AIRE FOR YOUR HVAC NEEDS? Our technicians follow procedures accurately and legally. Technicians meet weekly for group training and discussions. We are Fully insured and certified and every one of our team member has gone through background checks and drug tests. We offer you accurate up-Front pricing so that there will be no surprises. We have a 24 hour emergency service call center to be available at any time for all your needs. We schedule appointments with a one hour time window, so you are not awaiting for hours for our technicians to arrive. We have a stellar reputation and 5-STAR reviews and once you are on board with us.....you are FAMILY! PLEASE CALL US TODAY AT (843) 251-1128....ask for MARK. We all look forward to solving all your HVAV needs! IMPORTANT: In the case our client's ("Purchaser") tv or electronic unit ("Product") may need to be serviced, keep all original products, and the original receipt. For the first 30 days, MBTV will repair or replace the part with a like new or refurbished part of similar or better quality at no charge to the original purchaser and the labor charges will be included to any MBTV authorized service provider. After the 1 year labor Warranty period has expired, then the purchaser is responsible for all labor and parts charges. Parts will be covered for a period of 30 DAYS from the date of ORIGINAL CUSTOMER PURCHASE for all repaired TV models. MBTV will supply (at no charge to the original purchaser) new, rebuilt or refurbished replacement functional parts in exchange for defective functional parts that are deemed nonfunctional by an authorized MBTV servicer. Functionality of the parts replaced will be contingent on an MBTV servicer diagnosis. After the Warranty period has expired, then the purchaser is responsible for the costs of all parts and labor. On-site service requires that an authorized MBTV servicer be given clear, complete and easy access to the product. On-site service does not include that the servicer remove or reinstall the product, however most jobs we do provide this as an extra benefit to the service to our clients. It is possible that certain on-site repairs will need to be completed off site and (at the MBTV servicer’s discretion) require that the product (or parts of it), be removed to diagnose at the shop and/or repair. After this occurs, the unit will be returned if it was an actual warranty repair needed. If not, and the repair is not under warranty, the client is obligated to retrieve their tv at our shop or pay a service call fee for the return of their working tv. Our goal at our shop and on any service call is to provide the utmost possible highest standard of care and customer service to all clients. However, in fairness to all, we have a request that according to our workload, our priority of repairs is in the order that they are taken into the shop, or in the order of the service call. 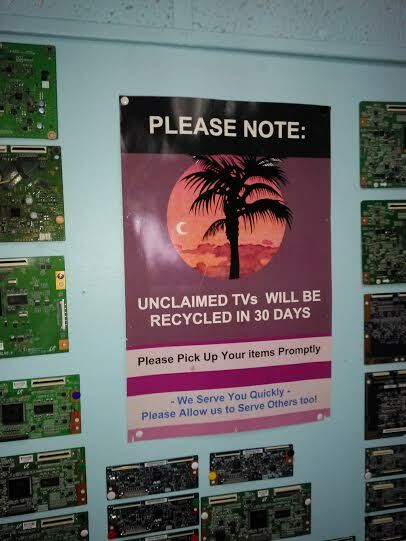 Posted with two posters in our shop is this request also, that unclaimed Tvs will not be stored for a period of more that 30 days, so please pick up your items promptly. We will charge a $25 a day storage fee for unclaimed tvs, that will only be kept at our shop at our discretion. The $25 per day storage fee will be due upon retrieval of your unit. We keep a very clean and organized shop!